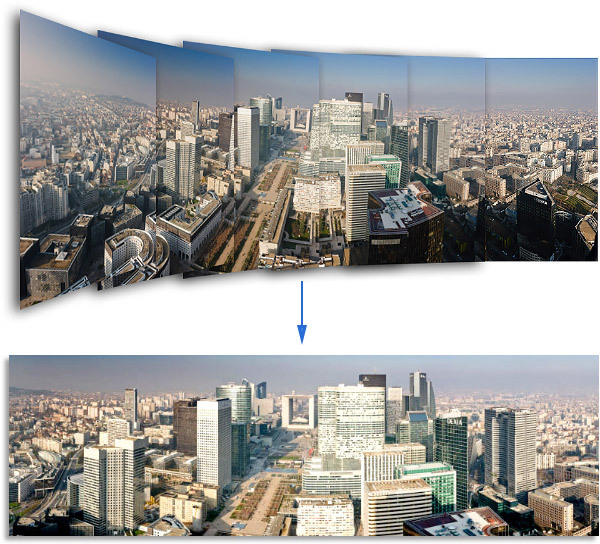 How to make a panorama? 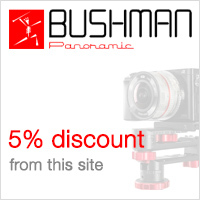 How to choose your panorama software? 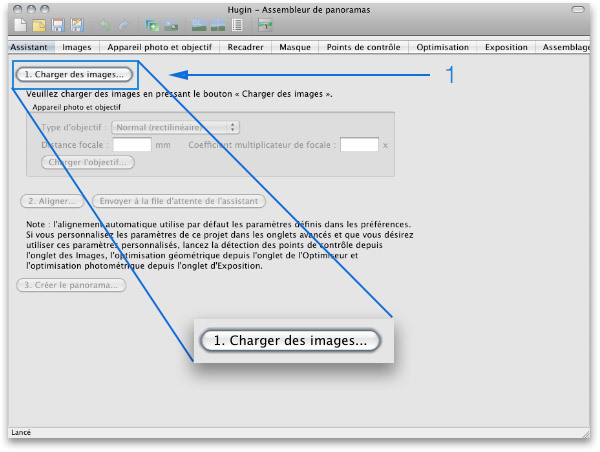 My note : 8,5/10 - Hugin is very close to PTGui in its interface and its use because it initially uses the same tools Panoramatools but it is free! 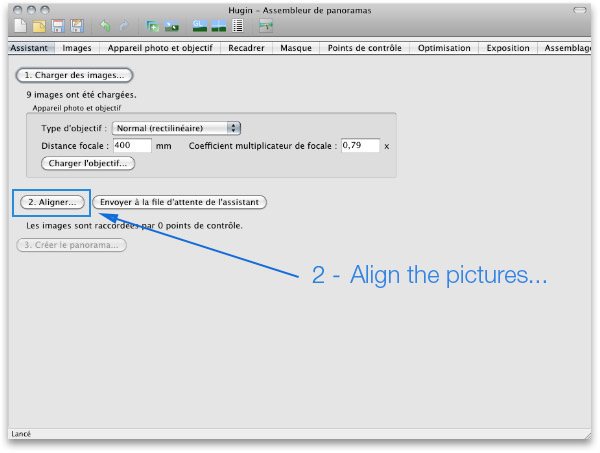 I describe each piece of software in a detailed way on several pages so I will, in this page, show you how to easily assemble your panoramas with Hugin 2018 and Autopano Pro 4.4. Download and install Hugin. Nothing particular to say as the language is automatically detected. 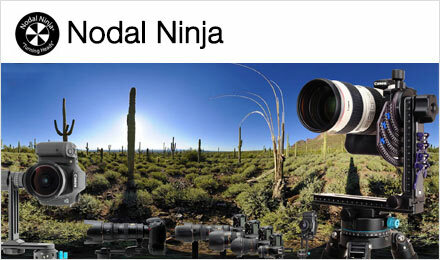 You'll now be able to create your panorama in only three extremely simple steps. To start with, we'll set a preference of the software so that it assemblees the panorama in JPEG format and not in TIFF by default. If you're a skilled user, you're likely to choose the PSD format.For that, open the Hugin menu/ Preferences / Stitching / Default files format and choose JPEG / 90. Then click "Agree" at the bottom right. 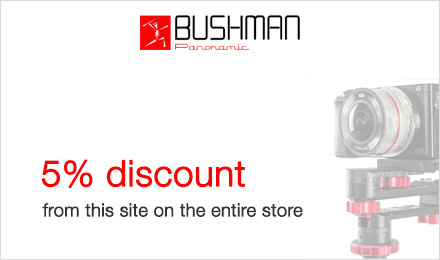 The software automatically detects the number of photos and the lens with which the photos have been taken. Perfect! 2 - Automatic alignment of the images - Then, click the button "Align..." below. It launches the automatic alignment of the images. Piece of advice! If you want, you can change the preferences of the software to automatically launch the alignment of the photos after loading them. Menu Preferences / Assistant / Check the box "Automatically align images after loading". 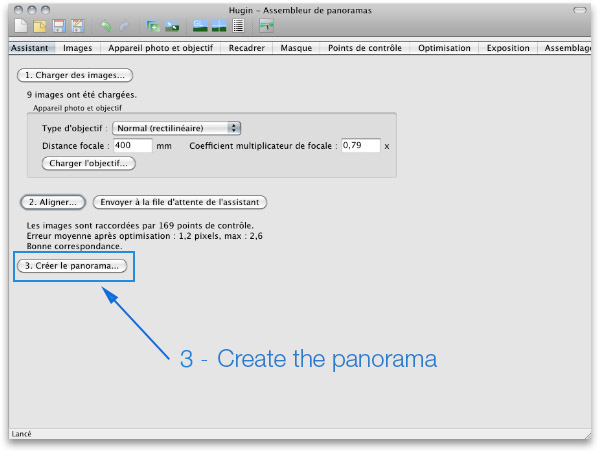 When the calculation is finished, it opens a new window "Quick preview of the panorama"
3 - Assemble the panorama once and for all - Click the button "Create the panorama..."
Piece of advice! 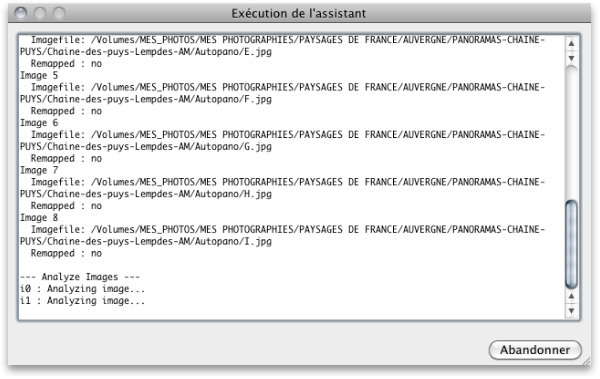 Leave the name chosen by the software, as I myself do, if your images are in a separate file. The project will save automatically where the images to assemble are. If your images are in a file "Vacation in India", then you'll also have to choose a name to recognize THAT stitching project among all the projects in this file. 2 - Your panorama and its file - Automatically and by default, the panoramas are saved in TIFF format except if you've changed that preference as recommended before in this paragraph. I recommend you to choose JPEG if you're a beginner. If you're a beginner, it's very likely this format won't suit you and you'll prefer JPEG. Here again, you have nothing to do but name your panorama and place it wherever you want! You just stitched your first panorama! You now just have to open it in your photo editing software to modify it, make it even more beautiful, correct it then... share it. GoPro closed Kolor on September 14, 2018. Nothing to say in particular since the language is automatically detected. 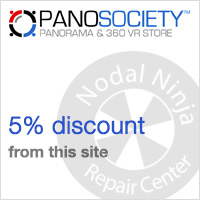 You'll now be able to create your panorama in only one very simple step. 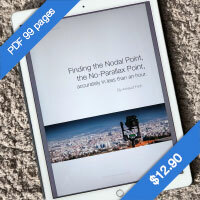 If you set the parameters once and for all, Autopano Pro functions completely automatically. Check all the boxes! Everything will be done automatically: the reframing of your photo in order to eliminate the parts without photos, the harmonization of the colors or of the luminosities in case of slight differences during the shooting with a point-and-shoot camera, the final stitching, the saving of the project and even the shutting of the software at the end of the stitching(s). A - 1st solution Analyze a file - This opens a new window where you can open the explorer of your computer before selecting the file where your photos are. Piece of advice! Just remember to check the box "Automatic detection". Click the button OK and the pre-stitching automatically launches (and if you set the preferences before, it all works automatically from now on!). 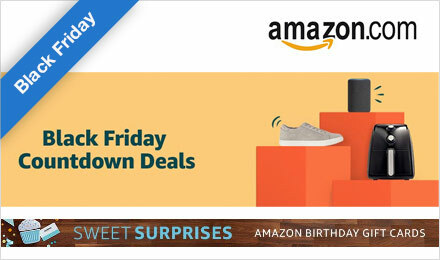 If not, click OK the click the green button "Detection". B - 2nd solution Select images - It opens the explorer of your computer in order to go get your photos. Once selected, the software automatically detects the number of photos, the lens with which the photos have been shot, the time it took to take the photos. Perfect! 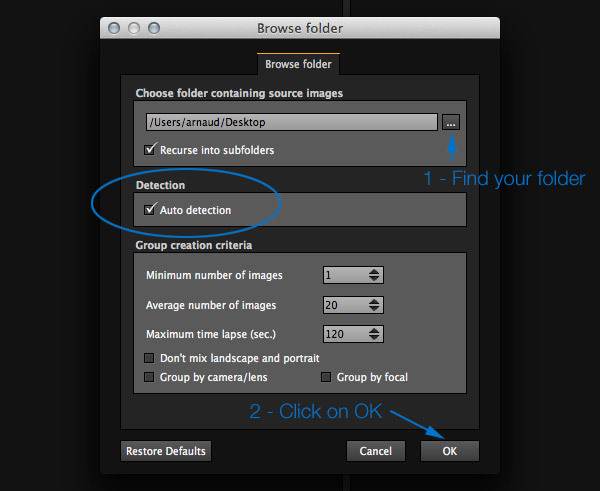 The detection (else said the alignment of the images) is automatically done from now on if you've made that choice in the preferences of the software (see above). You are then in the left column, the groups column where can thus gather all the panoramas of your vacations if you opted for the analysis of your file "Vacations 2014"! - If you've set the preferences of the software in full AUTO, the final stitching will launch automatically at this step. You don't have to do anything! Note! Your panorama(s) will be placed in the file of the project and in JPEG format (11/12 quality) so a very good quality; - for this format! (Unless you change the preferences of the software). - If the final stitching doesn't launch automatically and you want to launch it WITHOUT editing the panorama, see below (3). - If you want to make a few settings by yourself BEFORE the final stitching, click the button "Edit", at the top left of the panoramas column. 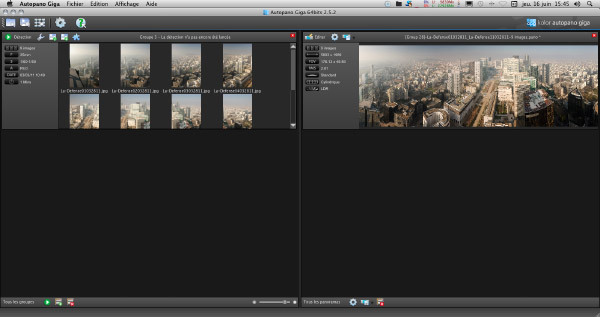 3 - Finally assemble the panorama - Click the button "Launch rendering..."
Note! It's the same icon if you've decided to open the panorama editor. In the new window opening, just choose the file where you want to save your panorama and the name you want to give it in the block "Output". The rest can remain by default. You only have to open it in your photo editing software to modify it, make it even more beautiful, correct it then ... share it. Home > Stitch a panorama > What panorama software ?